It wasn’t depression that caused Robin Williams to commit suicide but rather dementia, according to an autopsy of his body and a statement from his wife. 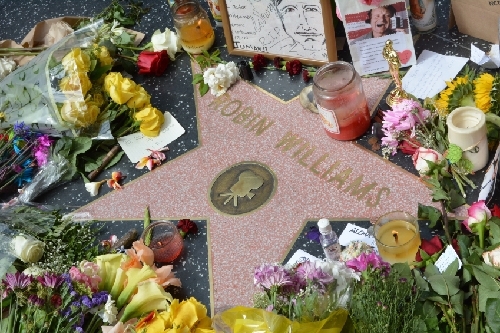 When Robin Williams committed suicide in August 2014, fans were shocked and horrified by his sudden death. There had been no indication that Williams was suffering from any major health problems and he had still been acting frequently. Following his suicide, many news organizations—and even William’s publicist—blamed depression. However, it has since been revealed that Williams had been suffering from the second-most common type of dementia: Diffuse Lewy body dementia. The disease, which causes widespread mental and physical deterioration, had been causing worsening symptoms in Williams, until he finally chose to end his suffering. According to his wife, if Williams hadn’t committed suicide, he would have only lived for about three more years. While Williams was suffering from depression, it was Lewy body dementia that drove him to his death. So why did everyone initially believe depression was to blame? There is actually a link between depression and dementia. They also can have many of the same symptoms. For many people in the initial stages of the disease, there could be little noticeable difference between their symptoms and those due to depression. What is the relationship between dementia and depression? Does depression lead to dementia, or is it just that people with dementia are more likely to be depressed? In fact, research has found that depression is a risk factor of dementia. There is an undeniable link between the two, and people who suffer from depression are more likely to end up developing dementia. Does depression cause dementia? While researchers have not found a conclusive answer to this, the existing evidence suggests that it is very possible. There are many studies that have found a relationship between depression and dementia. In one study published in the July 2014 issue of the journal Neurology, researchers studied 1,700 healthy elderly individuals over the course of eight years. None of the individuals studied had any cognitive problems nor other significant health issues. The researchers monitored their health over the duration of the study and viewed autopsy results of those who passed away. The study found that 18% of the study participants ended up developing dementia by the end of the study. However, the researchers found that those who developed dementia had higher levels of depression before their diagnosis. This meant that those who were depressed were more likely to develop the disease. While some people would think that this result simply means that people developing dementia are more likely to also be depressed, the study actually found this was not true. People diagnosed with dementia do not become more depressed. Rather, it’s only people who are depressed that are more likely to develop dementia. The study also found that depression caused age-related mental decline separate from that of dementia. Depression accounted for a 4.4% mental decline. This means that not only can depression lead to dementia, but it can even cause cognitive problems on its own. While depression is associated with dementia, further research has linked it specifically with the type of dementia Williams was suffering from. One of the symptoms of Lewy body dementia, particularly in the early stages, is depression. In the pre-stage of Lewy body dementia, people will suffer from depressive symptoms. However, this can be difficult to distinguish from regular depression. In a 2009 study published in the journal Psychogeriatrics, researchers studied older people with depressive symptoms to look for differences between regular depression and depression caused by Lewy body dementia. The researchers were able to find notable differences in symptoms, allowing for more accurate diagnoses of Lewy body dementia. The results of the study indicate that there are subtle differences between regular depression and that associated with Lewy body dementia. These differences can be very difficult to distinguish for anyone besides a trained medical professional. This could be the reason why many people, including Williams’ own publicist, initially believed his suicide was due to depression. In a lot of cases, older people who appear to be suffering from depression could actually be in the early stages of developing dementia. While there is some difference between depression and dementia symptoms, the two are often linked and very similar. It is no surprise that Williams would commit suicide due to his dementia, given the link between dementia and depression. Depression is one of the most common contributing factors to suicide. The association between depression and suicide has been confirmed in hundreds of studies and pieces of research. According to the World Health Organization (WHO), about 121 million people are suffering from depression worldwide. These people are at a heightened risk of suicide. In fact, over 90% of people who commit suicide suffer from an underlying mental illness, like depression. Different types of mental illness have varying risk factors when it comes to suicide. For instance, people suffering from bipolar disorder are 15 times more at risk of suicide than the general population. However, what is true of most forms of depression is that they all carry some sort of increase in the risk of suicide. A study published in the journal Comprehensive Psychiatry found that the biggest factor in suicide risk was hopelessness. While there was a big link between depression and suicide, this link was less apparent when the researchers controlled for hopelessness. What this means is that while people with depression are more likely to commit suicide, having high levels of hopelessness can increase the risk. This is why a condition like Lewy body dementia can cause a particularly increased risk of suicide. With dementia and other serious diseases that lack cures or effective treatment, sufferers can lose all hope. This makes them much more likely to end their life. However, any type of depression or mental illness can cause people to lose hope for their future and begin developing suicidal thoughts. This is why it’s important, particularly as people become older, to find ways to overcome depression and suicidal thoughts. While there is no cure for Lewy body dementia, there are many ways to fight off depression. When you are suffering from depression or suicidal thoughts, it is important to treat it as soon as possible. Not only will you feel better, but you will reduce your chances of developing dementia, dying from suicide, or suffering from other age-related mental decline. If cognitive symptoms, like memory loss or slowed thinking continue after treating your depression, then that could be an early sign of dementia and should be checked out by a physician. However, if they clear up as you treat depression; then you are likely in the clear. According to current research, suffering from depression does increase your risk of developing dementia. As well, certain types of dementia, such as the one Robin Williams suffered from, can have very similar symptoms to those of depression, making it difficult to tell the difference between the two. This is why it is important to treat your depression. Not only will you be happier and healthier, but your brain will be more resistant to diseases and mental decline. So start exercising, eating healthier and thinking positive thoughts—it will keep you happy and smart! Jung, E. A., “Robin Williams’ Wife, Susan, Says ‘It Was Not Depression That Killed Robin’,” Vulture web site, November 3, 2015; http://www.vulture.com/2015/11/robin-williams-wife-depression-didnt-kill-him.html. Bowers, E. S., “Depression as a Risk Factor for Dementia,” Everyday health web site, October 15, 2014; http://www.everydayhealth.com/news/depression-risk-factor-dementia/. Smith, N. M., “Robin Williams’ widow: ‘It was not depression that killed him,” The Guardian web site, November 3, 2015; http://www.theguardian.com/film/2015/nov/03/robin-williams-disintegrating-before-suicide-widow-says. Takashi, S., et al, “Depression associated with dementia with Lewy bodies (DLB) and the effect of somatotherapy,” Psychogeriatrics, 2009; doi: 10.1111/j.1479-8301.2009.00292.x. Thompson, D., “Scientists Shed Light on Link Between Depression, Dementia,” Healthday web site, July 30, 2014; http://consumer.healthday.com/cognitive-health-information-26/alzheimer-s-news-20/scientists-shed-light-on-link-between-depression-dementia-690273.html. Zhang, J., et al., “The association between depression and suicide when hopelessness is controlled for,” Comprehensive psychiatry, 2013; 54(7); doi: 10.1016/j.comppsych.2013.03.004.